Cut out center of paper plate to form a wreath shape. Print out several copies of leaf template. Option 1 – Color and cut pictures or Option 2 – trace onto construction paper and cut. 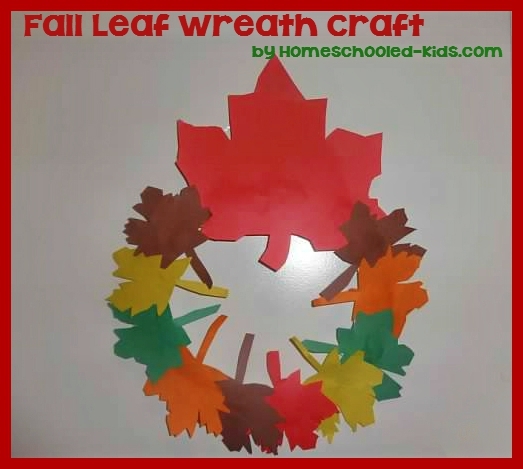 Glue leaves onto wreath, starting with the largest leaf on top. Cover entire wreath with leaves so no plate is visible. Hang by either attaching a pipe cleaner ring to the back of the wreath or secure with tape or ribbon and a hole punch.